Do I Need a Routine Eye Exam, Even When My Eyes Seem Fine? Even when you aren’t aware of any changes in your eyes, or eyesight, day to day, an eye exam is invaluable in detecting and preventing disease. Glaucoma, for example, develops gradually and often without noticeable pain or vision loss, so it’s hard for you to detect before significant and irreversible damage may have been done. Early detection is the key to determining the best treatment options going forward. The American Academy of Ophtholmology recommends an annual eye examination beginning at age 50. It’s one of the leading causes of blindness and of particular concern for people over the age of 40, those with diabetes, African-Americans and those with a family history of Glaucoma. It occurs when pressure inside the eye rises to a level where the optical nerve is damaged. Testing by an Ophthalmologist or Optometrist is critical in detecting it before symptoms appear and to prescribe an effective treatment. What Other Conditions Should I Be Aware Of? Cataracts are of significant concern for many patients over the age of 50. In fact, about half the population has cataract by age 65. A cataract usually starts very small and is practically unnoticeable, but grows gradually larger and cloudier. Regular visits to your eye doctor are important so that cataract’s progress is monitored. If your cataract is interfering with your vision to the point where it is unsafe to drive, or doing everyday tasks is difficult, then it’s time to discuss the many advanced and highly effective new treatment options offered at Miller Eye Center. Macular degeneration is the leading cause of vision loss among older Americans, and due to the aging of the U.S. population, the number of people affected by AMD is increasing. This is a deterioration of the macula, which is the small central area of the retina of the eye that controls visual acuity. The health of the macula determines our ability to read, recognize faces, drive, watch television, use a computer, and perform any other visual task that requires us to see fine detail. At Miller Eye Center, we can detect early signs of macular degeneration before symptoms occur. Usually this is accomplished through a retinal exam. How About the Treatment of Less Serious, But Highly Annoying, Conditions – Like Dry Eye, Ocular Allergies or Floaters? Exciting new treatments exist and are in use at Miller Eye Center that have proven highly effective in treating both of these sources of daily eye aggravation. Take, for example, Dry Eyes. Millions have learned the hard way that most Dry Eye treatment options are ineffective. Experts now agree that only a small percentage of those affected by Dry Eye syndrome have the aqueous tear-deficient form. The vast majority likely suffer from a more common problem known as Meibomian Gland Dysfunction (MGD). Miller Eye Center can manage the progression of MGD and restore the eye’s natural oil production with LipiFlow®. LipiFlow is the only FDA cleared treatment using thermal pulsating heat to remove blockages in the Meibomian glands. For treatment of Floaters, Miller Eye Center offers a non-invasive Ellex laser treatment that removes or greatly reduces the size of floaters so they no longer impede your vision. Simple. Contact us by phone between the hours of 8:00am and 5:00pm Monday through Friday, or schedule an appointment through the Contact Us portal here on the website. Depending on the nature of your exam and what symptoms you have – and with the exception of a routine vision exam – the doctor may want to dilate your eyes. Consequently, you may want a driver. How long will this appointment last? Depending on if you are having testing done or dilation, your appointment could range from 40 to 90 minutes. If special testing is needed as with a typical retinal specialist examination, the appointment could range from three to five hours. Although we accept most medical and vision plans, we suggest you contact the phone number on the back of your insurance card to verify, as we are not always sure of individual group coverage. 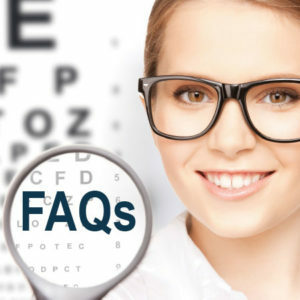 Do you perform school-required eye exams? Yes, we do school exams for all ages. What are the doctors’ areas of specialization? Dr. Miller is a cataract. corneal and glaucoma specialist; Dr. Ozkok is a retinal and glaucoma specialist; and Dr. Marnul is an Optometrist with a bilingual (Spanish) ability. Where do Dr. Miller and Dr. Ozkok do their surgeries? Dr. Miller does his surgeries primarily at Rockford Ambulatory Center and OSF St. Anthony Medical Center; Dr. Ozkok at OSF and MercyHealth Hospital. Dr. Miller also operates at KSB Hospital in Dixon. Which doctor will I be seeing on my initial visit to Miller Eye Center? 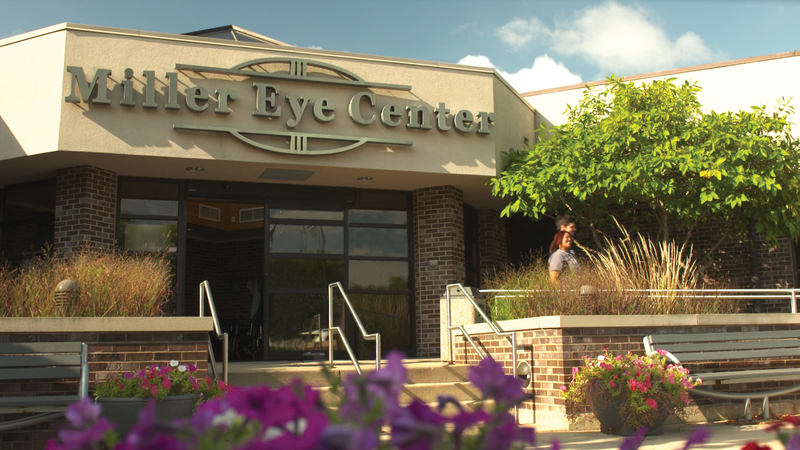 Most patients will see our Optometrist or a physician assistant for their initial visit to Miller Eye Center. They are able to treat most eye conditions and can freely refer to our Corneal or Retinal specialists if your eye care requires more specialized treatment. With a referral from another doctor, a patient is able to see our Corneal or Retinal specialist for their initial appointment. What’s the difference between vision insurance and medical insurance? Vision insurance covers a routine eye exam, which is the preventative, yearly vision exam that helps maintain good eye health. A routine exam allows you to see how your vision has or has not changed within the past year. You may need a new prescription, or if you have not needed glasses or contacts in the past, a routine exam may reveal a need for them. Vision insurance covers other benefits related to vision care, either fully or partially, including a fitting for contact lenses, the purchase of contact lenses or a new pair of eyeglasses. Vision insurance does not cover any medical ocular problems such as dry eye or cataracts. Health insurance covers eye exams and treatment plans only when they are necessary to treat a diagnosed medical eye condition, for example, dry eye. It does not cover the cost of eyeglasses or contact lenses. An Explanation of Benefits (EOB) is a form or document that may be sent to you by your insurance company after you have had a healthcare service that was paid by the insurance company. You should get an EOB if you have private health insurance, a health plan from your employer, or Medicare. Who do I contact with questions about my statement? When you receive a statement, reconcile it with your EOB from your insurance company. Your insurance company tells us how much to charge you after they have paid their share of your claim. If the statement and EOB match, your balance is valid. If you have questions regarding how much your insurance notified us to bill you, you should call the number on the back of your insurance card. If the EOB you received does not match the statement you receive from us, please call our billing office at 815-316-3705. How much is a basic vision exam? Our basic vision eye exams are $45. This includes a prescription for eyeglasses but not contacts. It does not include diagnostic testing such as dilation or treatment for a medical condition (for example, glaucoma). The $45 exam price cannot be combined or used in conjunction with any vision care/insurance benefits plan / discounts. Offer does not include glasses or contact lens supply. Do you take vision insurance? We will gladly help you complete insurance paperwork if you need to submit your receipts yourself. Typically, you will receive your glasses in seven to ten days. Do you make the eyeglasses at your facility? 60% or so of all orders are now manufactured at Miller Eye Center. Rapid delivery of most standard lenses is available at an extra charge. Do I need to pay in full for my glasses at the time of the order? You can pay in full or pay 50 percent of your out-of-pocket cost. The balance will be due on receipt of your product. Can I get my contact lenses sent to me in the mail? Yes. There is no additional charge if you purchase a year supply of contacts. Otherwise, a shipping fee is charged. Can I use a prescription from another optometrist? Yes. We gladly accept outside Rx’s. Do I need an appointment to order or pick up my glasses? No appointment needed! The optical shop is open the same hours as the clinic. Be sure to allow enough time if you are coming in at the end of the day – we recommend thirty minutes for pick up and adjustments and one hour for new glasses orders. Can you place new lenses in my old frames? Yes, we can for a nominal fee. Do you take Medicaid/public aid for glasses or contacts? Unfortunately we do not accept Medicaid for glasses or contacts at this time. Copyright 2019 Miller Eye Center. All Rights Reserved.